Placemaking is a process through which a place is conceived and generated. From a particular space—a street, a parking lot, and old park, a forgotten alley, a vacant lot—and into a place where people want to gather together and encounter others. 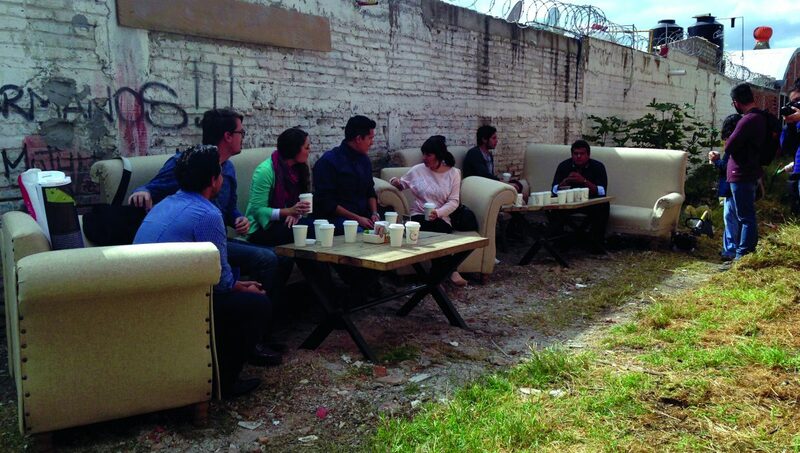 Placemaking is to make places where people want to be, and share life together. But, then, what is the difference between making a particular place and placemaking as an action itself? I mean, places have been built and made since the beginning of humanity, so why is placemaking so new, and important nowadays? It has to do with the impact of the process; placemaking is to build something for others, for entire communities, for entire cities, and through this, for any human necessity. Placemaking is the ability to design and create something, to think of the public, rather than private interests; it is to add symbolic values to details, and to generate outputs for the enjoyment of public life. Beyond building for everyone, placemaking means building by everyone, rather than by political, or corporate powers and personal egos. Empowering different actors within a community (to give an opinion, make a statement and/or change the way they live in a place) gives credibility and acceptance to any project. Moreover, by involving local actors, we make sure that the spaces we create express a shared identity, resulting in diverse and genuine cities that enhance cultural heritage, social values and ideologies. 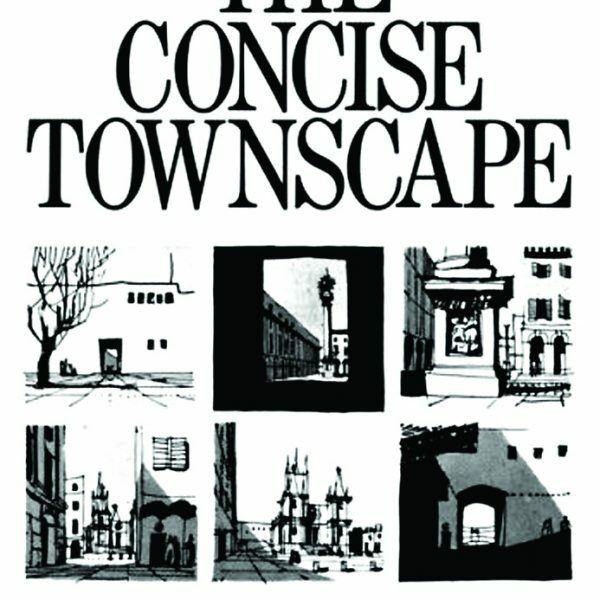 Georges Perec wrote that “to live is to pass from one space to another, while doing your very best not to bump yourself.” I think that placemaking is the best and most safe bumper (a softer and more adequate bumper) that humanity has found after centuries of building spaces. It gives value and emotion to the places we inhabit and to the spaces we share as human beings: the public space. In the end, placemaking re-shapes and gives meaning to our public life, recuperating the purpose of its very existence. At dérive LAB we aim to explore, comprehend and inspire other (new) ways of living and thinking about life. We always start with re-imagination as a tool for placemaking processes. We, the citizens, have the opportunity to rethink, re-design and recreate the places we live. The ability to imagine that a space can be different already creates a possibility to change it; and if we want new, different, better, happy, enjoyable cities, then we need to give ourselves permission to re-imagine them. Even when things do not change in the short term, to trace an idea (whether absurd or real), is the beginning of multiple possibilities for it. Success (as a finished product) is actually not our main objective, but to invite others to reflect and change for building new and better cities. Placemaking is about creating places while still questioning: why is it that cities no longer astonish their citizens? That is why the placemaking process is so attractive. Placemaking interventions can be quick and cost-effective. They move and amaze people and install creative thoughts of the re-imaginary. The goal of placemaking is not to come to an end, and to finalise building projects, but to be able to think, create, improve, and after that, rethink and improve again for our wellbeing, our happiness, and better cities to live in. We believe deeply in the power of Human-Centred Design; but there is a huge difference between designing for the people and designing with the people. In all our processes we invite people to participate in the conception of ideas, but also in the implementation and construction of such ideas. In the end, that is what places are all about, gathering and sharing life perspectives with others. Bonus: Take advantage of what you have! Conventional revitalisation calls for large investments and resources. 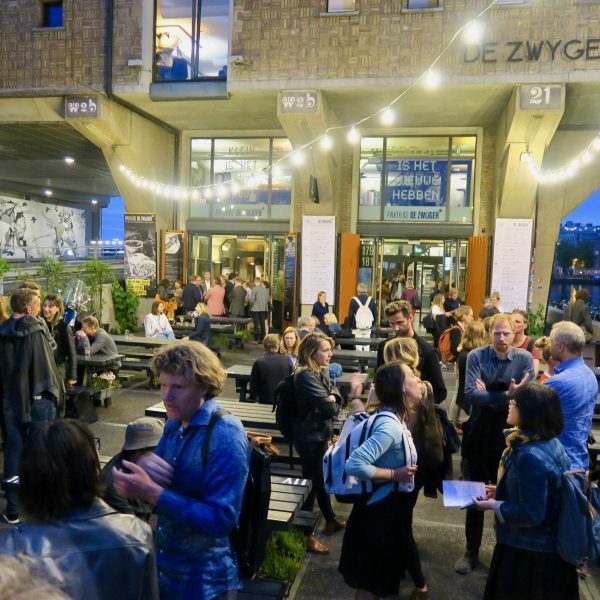 We try to prove that we can work with resources we have within our reach: a great weather, diverse local materials, successful public markets, rich cultural heritage, creative neighbours looking for a place to show and engage with new audiences, and in general, the wisdom of our own community! 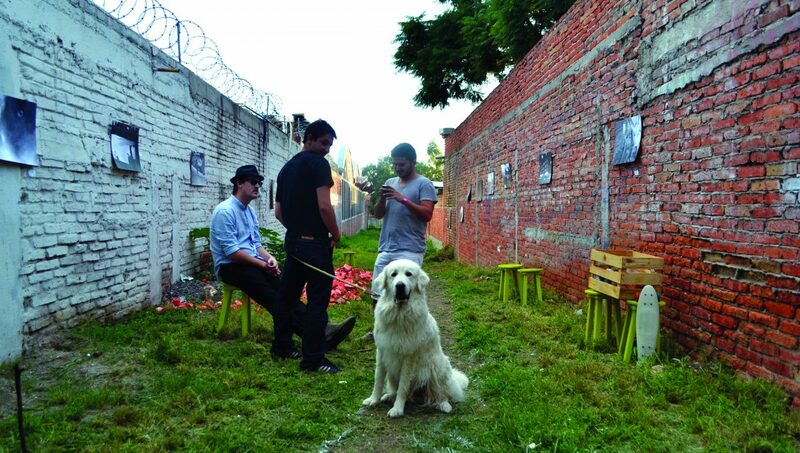 The #GaleríaBallindamm project is a Tactical Urbanism and Urban Acupuncture project in an abandoned and forgotten alley called the Ballindamm Alamos, located in an industrial area of Mexico City. Modern cities should provide sufficient public space for its population, however due to various reasons there is a deficit in this offer; gaps exist in cities, and vacant and abandoned areas are untapped resources for the public. The proposal is to intervene artistically and culturally, through specific actions and periodic in time. Derive Lab created an open-air gallery, with free access to everyone. The goal of #GaleríaBallindamm is to give vibrancy to the alley; to give it life and “something” to offer to neighbours and other residents of the city. We want to transform the alley into a safe and friendly corridor, with a reason to spend time here.